My journey through tuna has come full circle (yes, I have taken a journey through tuna; no, I haven’t sought psychiatric help yet). Like most of us, I first discovered this king of fish boiled and tinned, and indeed there was fat chance of getting it any other way in England at the time. But here I can get it fresh and locally caught, and have taken full advantage of the fact, having run the entire gamut of tunadom: grilled, with pasta, in fishcakes, bottarga, baked and even raw. But perhaps I was on the right track in the first place – boiled and tinned was actually the best option. I just needed to go back to basics, do it myself with fresh Sicilian tuna, and – minor detail – not actually put it in a tin. Having said that, you probably like tinned tuna. Everyone does. Well, except vegetarians possibly, and even in their case I have my suspicions. Today’s version will remind you of tinned tuna, but only very vaguely. 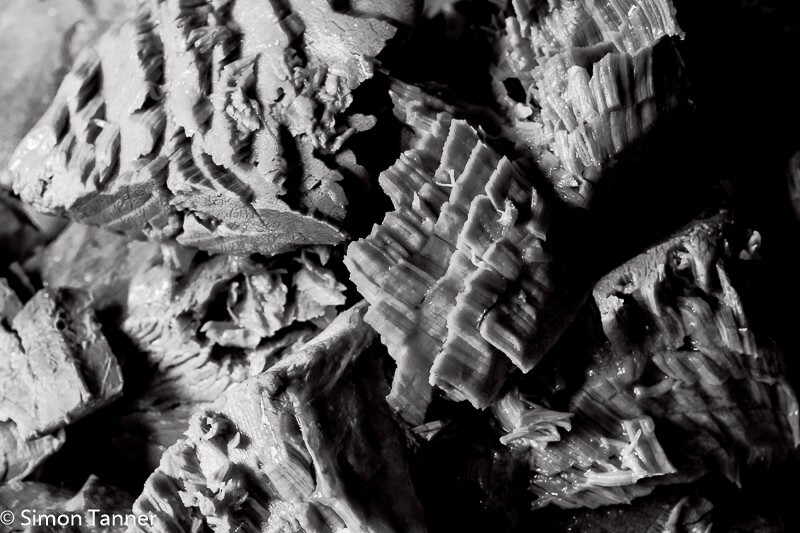 In the same way that an Aberdeen Angus charcoal-grilled rib steak reminds you of a frozen supermarket hamburger. This is what tinned tuna would taste like if they used the freshest fish, homemade stock and didn’t, well, tin it. What will really amaze you – well, it amazed me, but my amazement threshold may be lower than yours – was the consistency. It was like well-braised beef, juicy and yielding. 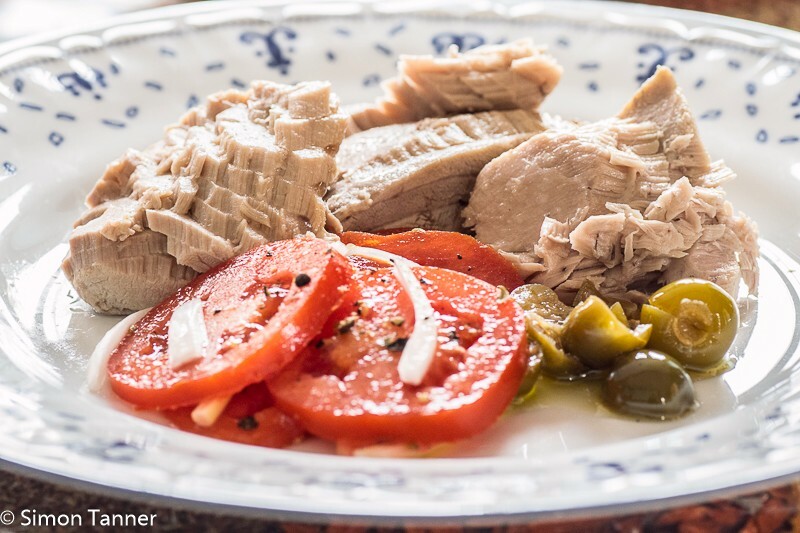 Tinned tuna is meaty, but also quite dense. Tender is not the word you would use to describe it. This, meanwhile, melts in the mouth. 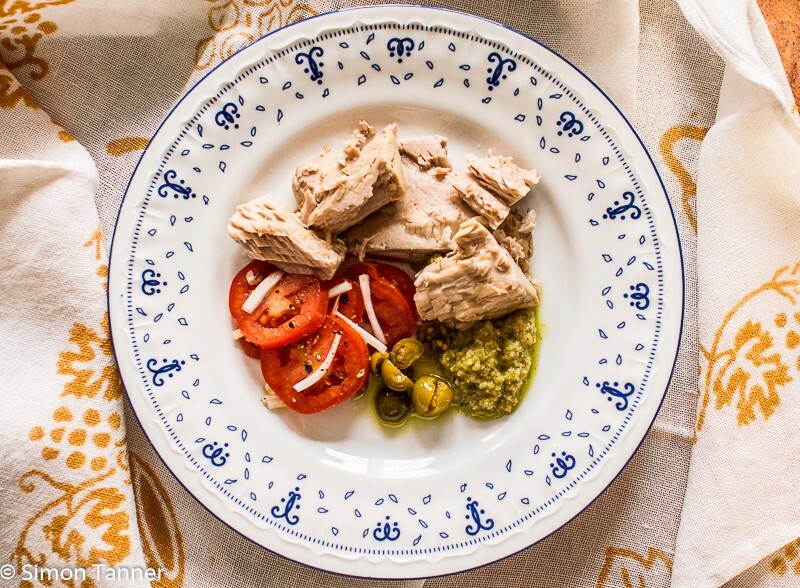 You won’t believe tuna could taste, and feel, this good, so good that you may well be happy to eat it as it is, or maybe dressed with lemon juice, olive oil and black pepper (don’t add salt, because the tuna already absorbs enough during cooking). You would be forgiven for thinking it couldn’t get any better. But the salsa verde manages to perform this miracle. If any sauce is left over, it’s great with boiled or roast meat (especially lamb), or even boiled eggs. Soak the tuna in a bowl of salted water (one level tablespoon of salt is enough) for an hour, then drain. Bring the stock ingredients to a boil in a covered pan. 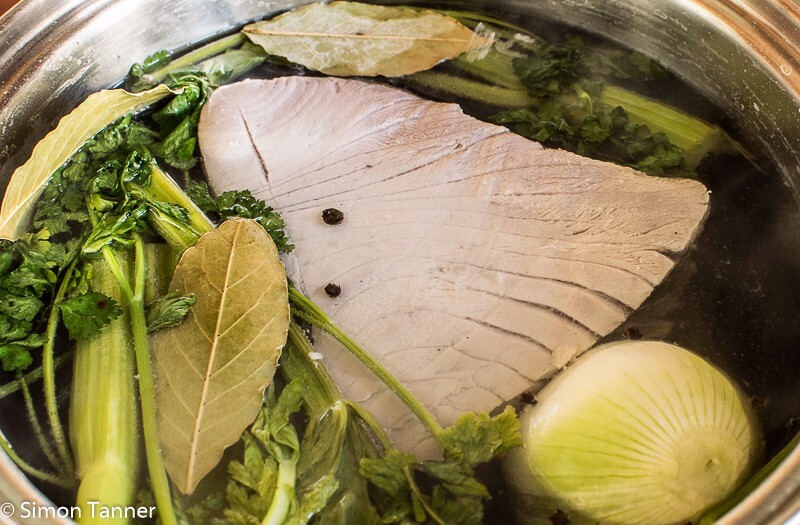 Place the tuna in the stock and lower heat to a very gentle simmer. Cover and cook for 75 minutes. Remove tuna using a slotted spoon and leave to cool to room temperature. Break into large pieces. Serve with the salsa verde. For the salsa verde: place all the ingredients in a food processor and blitz until you obtain a smooth sauce. This entry was posted in Fish, Recipes, Salads, Uncategorized and tagged fish, insalata, salad, tonno, tonno lesso, tuna by hungryenglishman. Bookmark the permalink.